Columbus Gets Swallowed! (Twice!) – Inhumanwich! In a turn of events not even Dr. Chang could predict, Inhumanwich! will screen twice in Columbus, Ohio the weekend of June 15-18 – the same weekend we’re also screening in Ft. Wayne. That’s triple the meat! 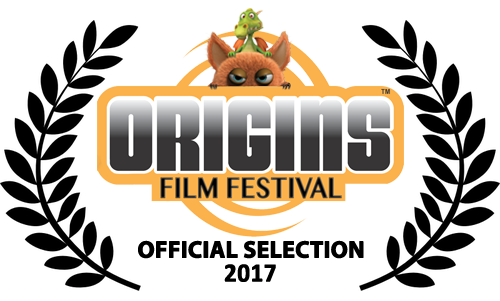 First up is the Origins Film Festival, which runs June 15-17 as part of the Origins Game Fair (June 14-18). Origins is billed as one of the largest tabletop conventions in the nation (and comes highly recommended by our own RJ Robertson). Inhumanwich! will screen 4 PM on Friday, June 16. Badges for the convention are on sale now. A convention badge gets you admission to all films screening that day, plus all the other gaming goodness they offer. Check out the Origins registration page for full details. You can also catch Chompy Lou at the Gateway Film Center the same weekend as part of the sixth annual Film Festival of Columbus. No screening date/time has been announced yet, so stay tuned for more info as we get it. So there you have it. If you can’t make it to Ft. Wayne for Hobnobben, swing by Columbus for a double dip of murderous meat! Odds are very good someone from the cast and/or crew will be present at all three fests. Don’t miss out. We hope to see you there! Or there! Or there! ← Film Threat Reviews Us!